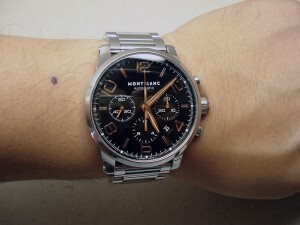 This is my recently posted Video review of my Montblanc Timerwalker Chrono, with the automatic Valjoux 7750 movement in it. Nice watch. I recall that the ads featured Nicolas Cage on them at one point. Great detailing on the case, and a very interesting stainless bracelet to boot. I determined that the style wasn’t really for me, but I did appreciate the craftsmanship of the case and bracelet. Montblanc has ventured into in-house movements now with some of their high-end pieces, so that’s good to see too. 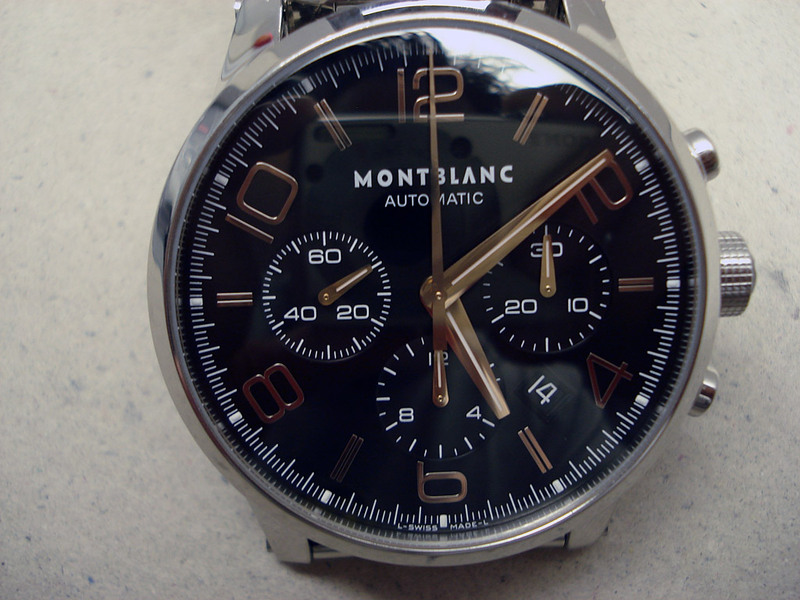 Also known as the “Nicolas Cage Watch”, the Mont Blanc Timewalker Chronograph Automatic is a very noticable watch when on the wrist. It never fails to catch someones eye, and garners a compliment quite often. It is probably one of Mont Blanc’s most striking case designs, with immaculate attention to detail. This particular specimen features beautifully polished rose gold hands with a thin slit of lume, and matching rose gold arabics and indices on a semi-gloss black dial. 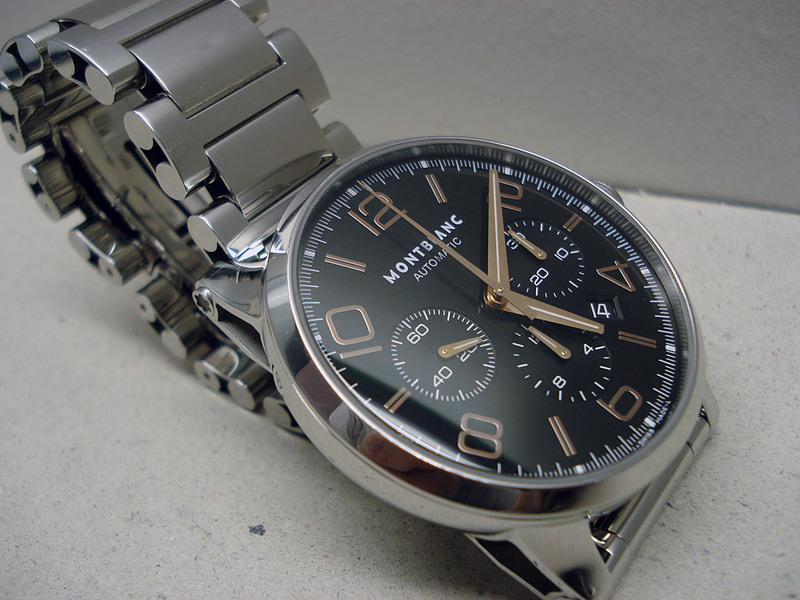 Mounted on the strong, yet lightweight hollow chain-style bracelet, the watch really has a unique style to it that is 100% Mont Blanc. As you can see, the sapphire crystal is not AR coated on the Timewalker Chronograph, but it is domed and mounted in a very thin bezel giving the 43mm diameter watch a larger wrist presence than similar sized watches. The watch features a very high quality three-piece case construction that I was not expecting initially. 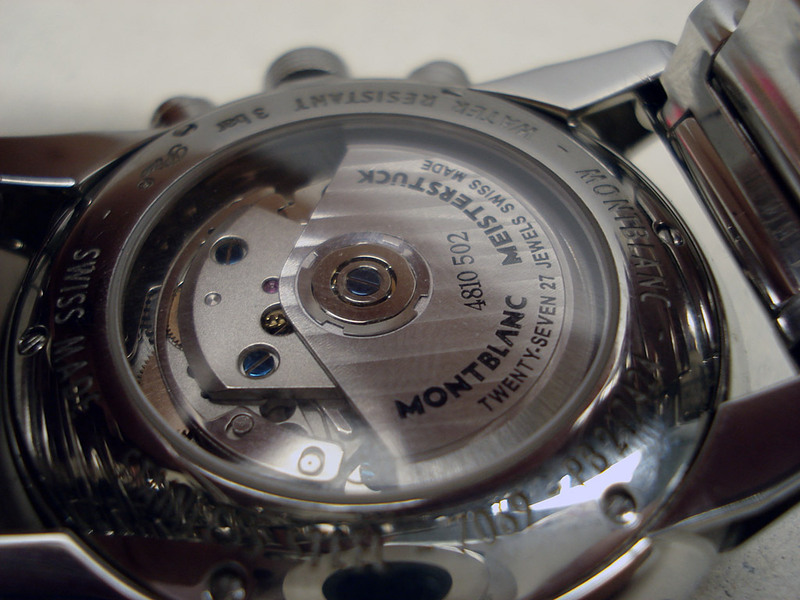 The quality of the case is very impressive to me – Mont Blanc did a great job with that. 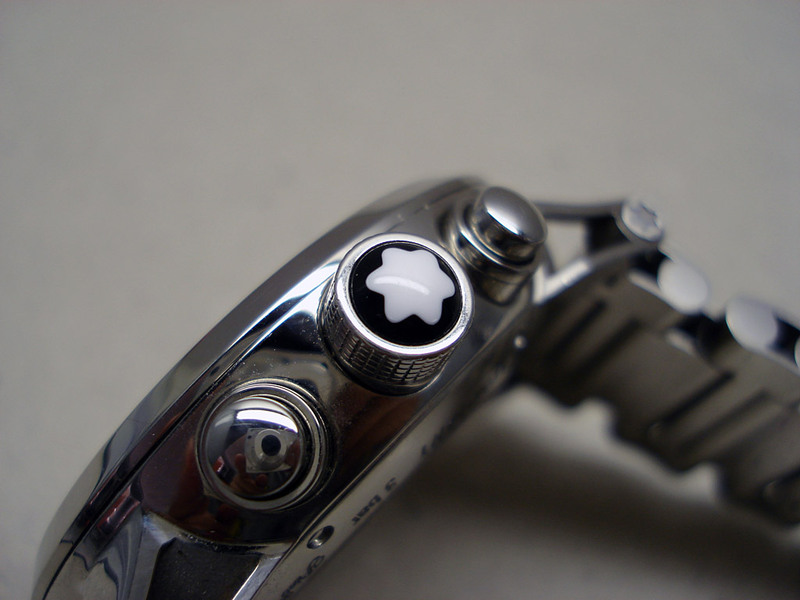 As you can see, Mont Blanc did not miss any opportunities to insert their logo on every piece of the watch that they could – even the lug ends have a bead-blasted Mont Blanc star on them! A very nice touch and done very tastefully in my opinion. The machined-out lugs look great as well, with the interior surfaces all bead blasted as well. 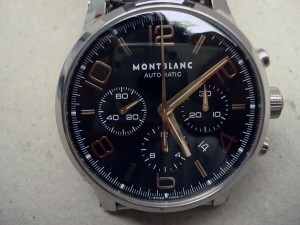 Any of course no Mont Blanc watch would be complete without the signed Mont Blanc crown. While I’m not a big collector of Mont Blanc products, I do have to admit that the signed crown adds level of prestige and pedigree to the watch that is desirable. 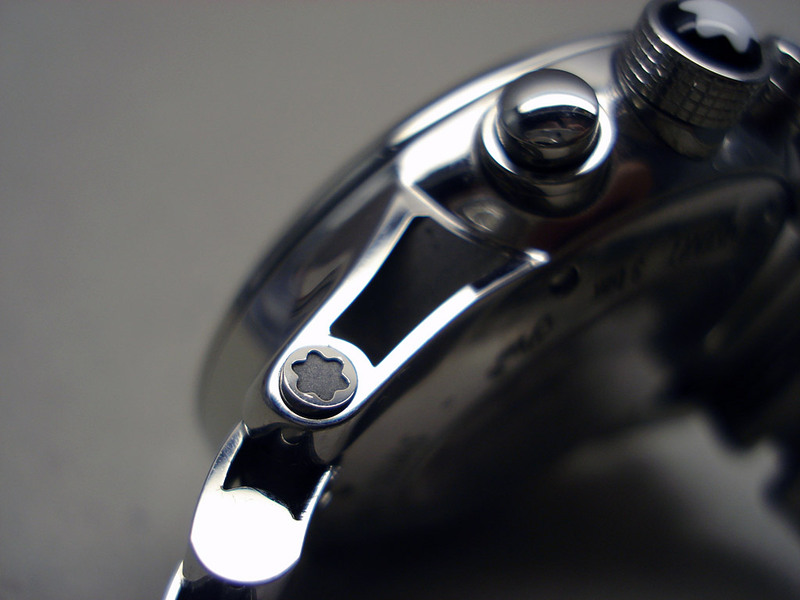 The watch overall achieves a unique and pleasant identity which is often rare in the watch world. The Sapphire exhibition back shows off the decorated Valjoux 7753 movement modified by Montblanc. It is pretty standard with the date change mechanism mounted at 10 o’clock via a recessed pusher. And finally the wrist shot! 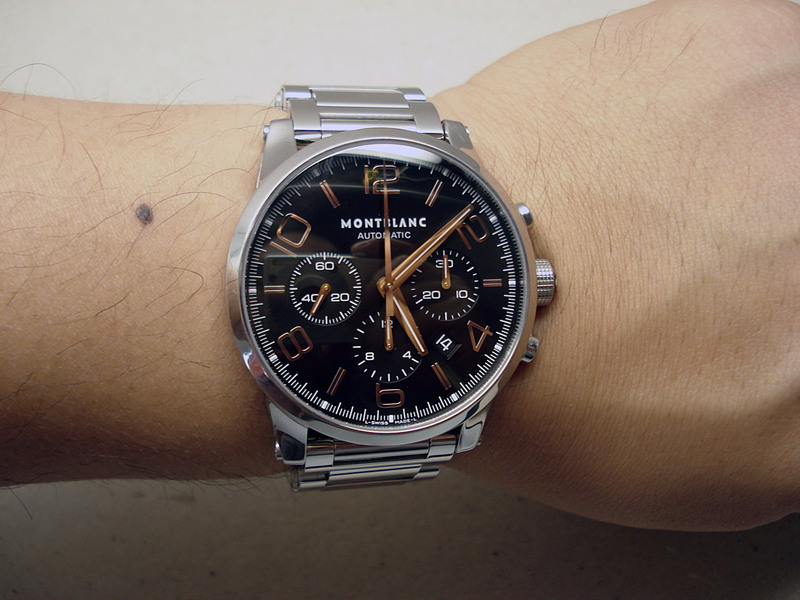 Shown on my 6.75″ wrist, the watch really does “pop” out and demand your attention. The lugs are short on this model compared to other similarly sized watches, making the watch fit well on even smaller wrists. After wearing this watch for a while I don’t think that it is for me. The watch has a style that is perhaps a bit shiny without being entirely dressy yet without being “tool” enough for me, like Breitling. 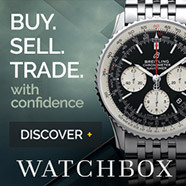 Beautiful watch, but it won’t be a keeper for me.